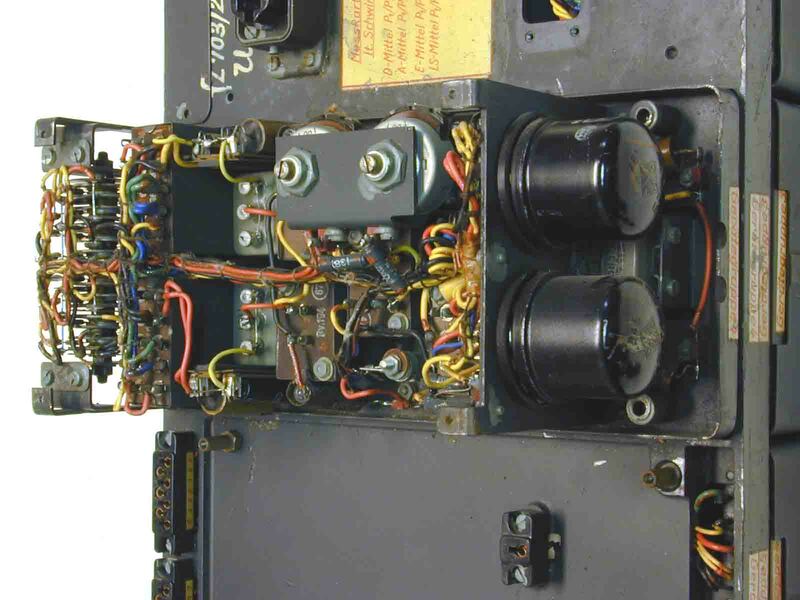 Inside view of one of the ring-modulator modules (stages) (the adjacent module below has been removed (disconnected)). The two black devices on the right-hand side are EF 14 high slope amplifier valves (tubes). 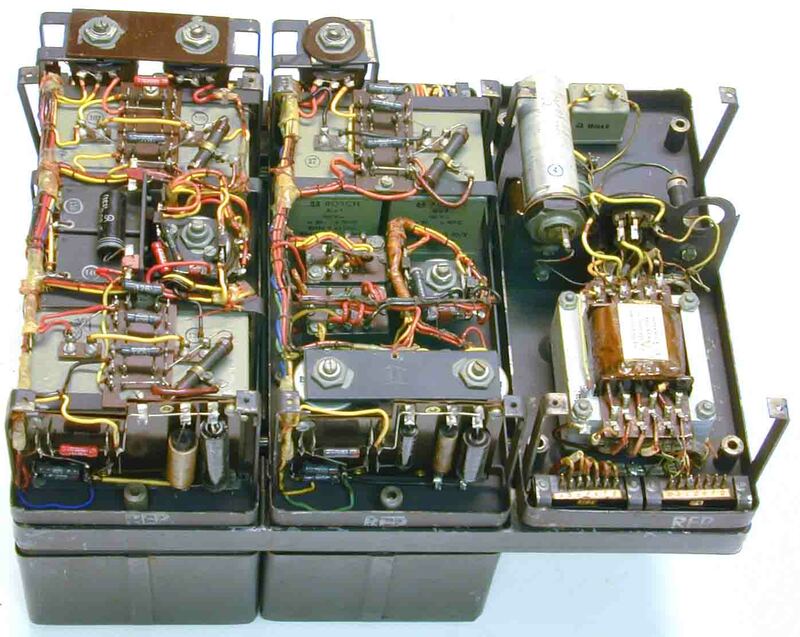 The rectifier-cells on the far left-hand side belong to the ringmodulator circuit. The principle of this analog computer had been brought, by Werner von Braun, to the US shortly after WW II. Peenemünde used a similar kind of computer technology (technical calculations), be it with far more capabilities. There is evidence, that this kind of technology (principle)had been used for a decade since in the US. Holzer, its inventor, became later an American citizen and became a director of an American mathematical institute. The ringmodulator technology has advantages, as DC signals could now be controlled by AC means.